When you set the rates for your services, how much did you think about it? How did you come up with that figure? 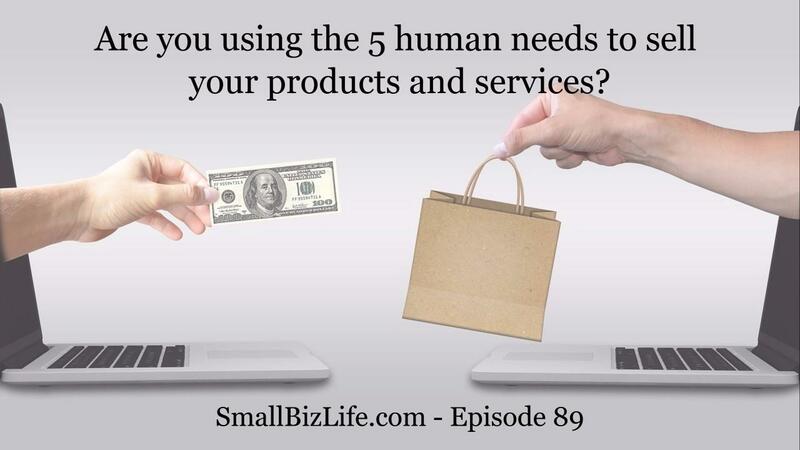 In this episode, we discuss how to set a rate for your services that allows you to achieve your goals and plan for the future. 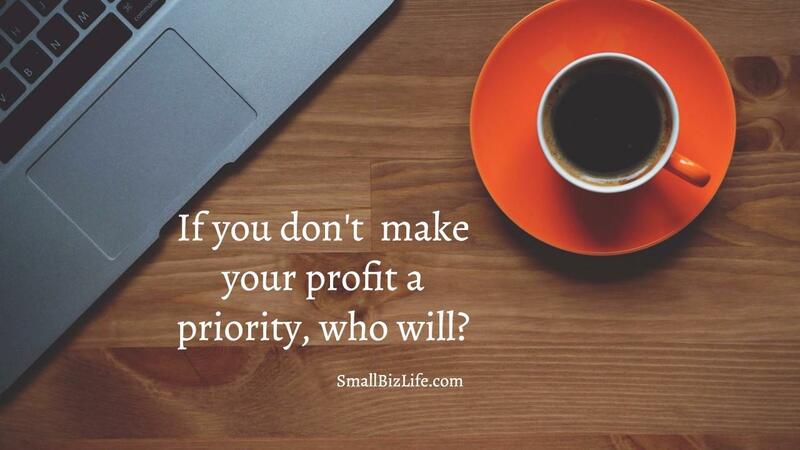 Are you a price taker or a price maker? In the area of pricing, there are two types of companies: price takers and price makers. Episode 89 - What are you really selling? When selling products and services, we often spend lots of time focusing on the technical aspects of what we sell. However, we should be spending more time focusing on the benefits of what we are selling. 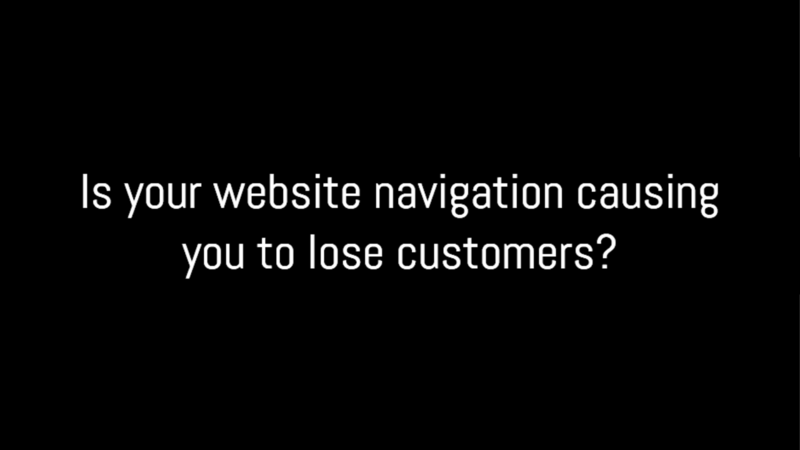 Most of the business owners I have met start thinking about their website in the wrong terms. They worry about how modern or "beautiful" their website looks. However, this is the wrong thing. When we start creating the site, our first concern should be how our visitors can find the content, product, or service they are looking for and then focus on how it looks. People want to do business with people they like and trust. The only way to create those relationships is to build connections. 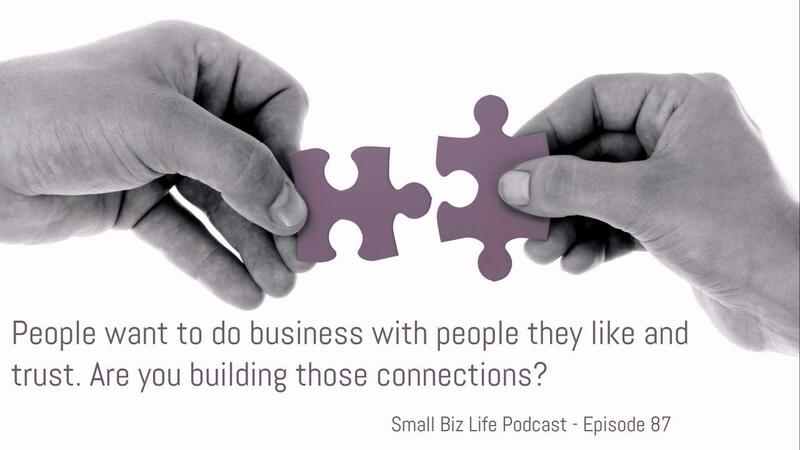 In this episode, we discuss the 5 keys to creating connections. How can we create meaningful connections? 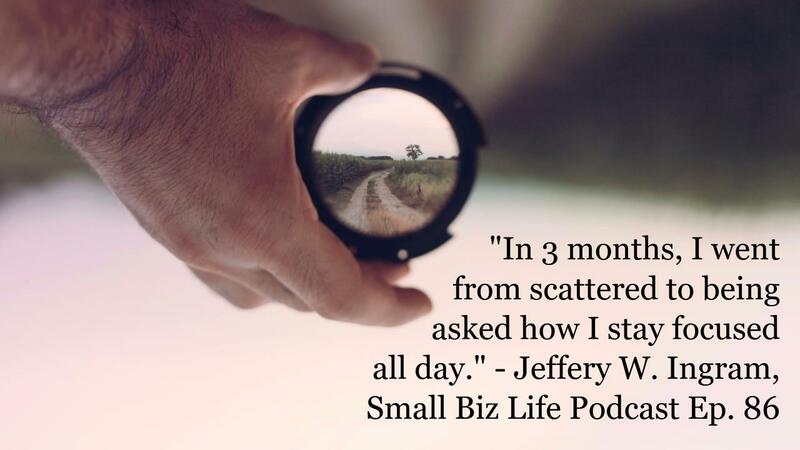 Most small business owners state that focus is one of their biggest daily struggles. In this episode, Jeff and Kristin discuss why we struggle with focus and how we can achieve more of it. 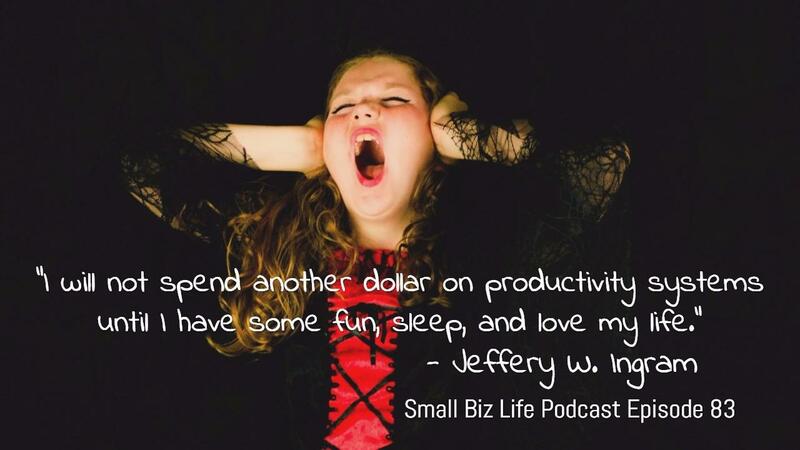 Being a small business owner can be stressful. Sometimes, our businesses can add conflict in our relationships with significant others. 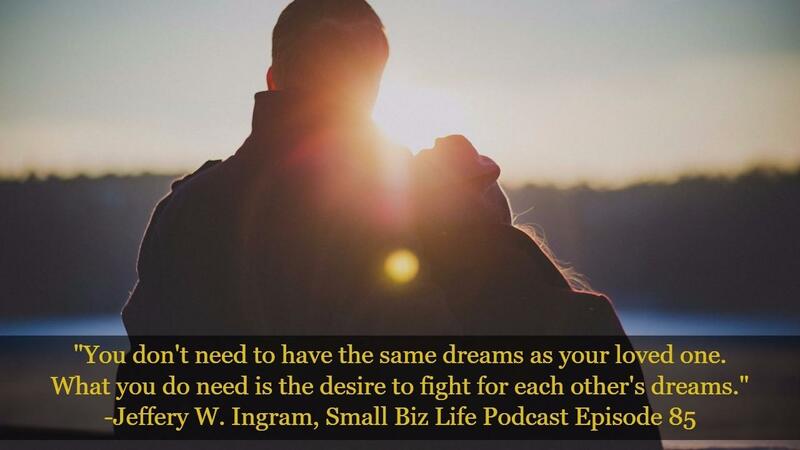 In this episode, Jeff and Kristin discuss ways to minimize this conflict so you can start building dreams together. Do you have an advertising plan? Do you have an advertising budget? Are you just throwing things at the wall to see what sticks? 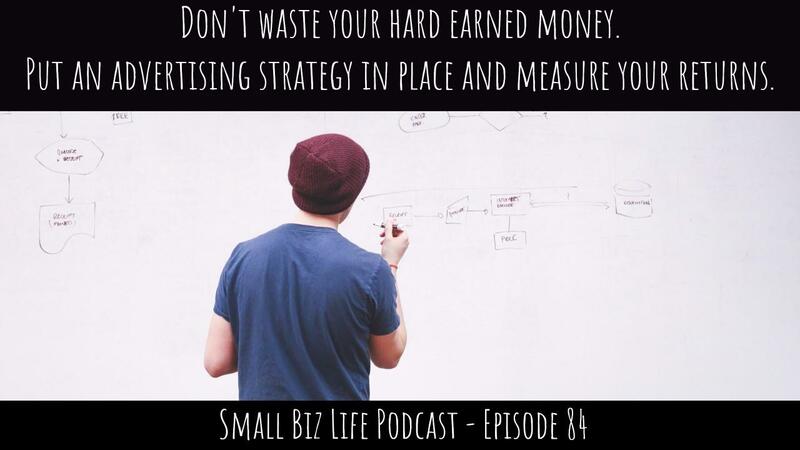 In this episode, we discuss steps for putting together an advertising plan and some of the best options for advertising no matter how big or small your budget is. Have you cut out hobbies to get more done? Think again! In today’s episode, we will be talking a lot about the benefits of hobbies, and they are real. You can promote the increase of eustress, and decrease your distress. Essentially, help remove the bad stress and try and replace them with positive stress. Hi my name is Jeff, and I spent years burned out. If I was ever going to start a self-help group, each speaker would start off saying that statement. 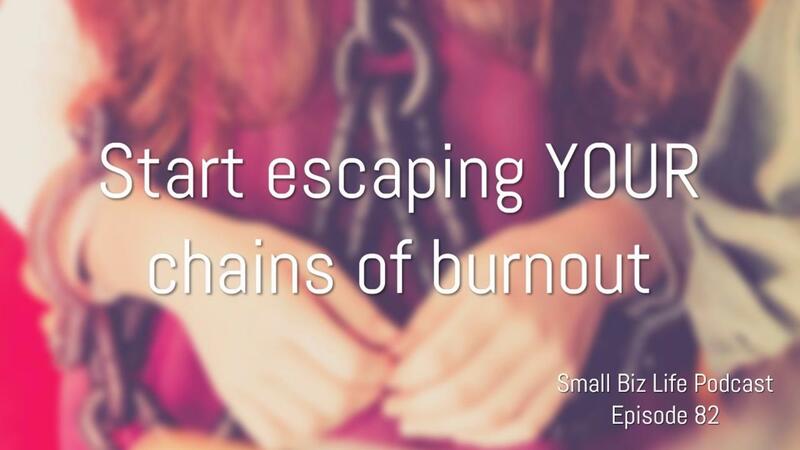 A couple of years ago, I started breaking out of nearly permanent burnout. My work was suffering, my relationships were suffering, and I was just not happy. Hey, we understand. Jeff resisted this notion for years. Because the idea that if you sleep more, you can get more work done in less time is counter-intuitive. However, Jeff was researching content on the basics of improving performance. 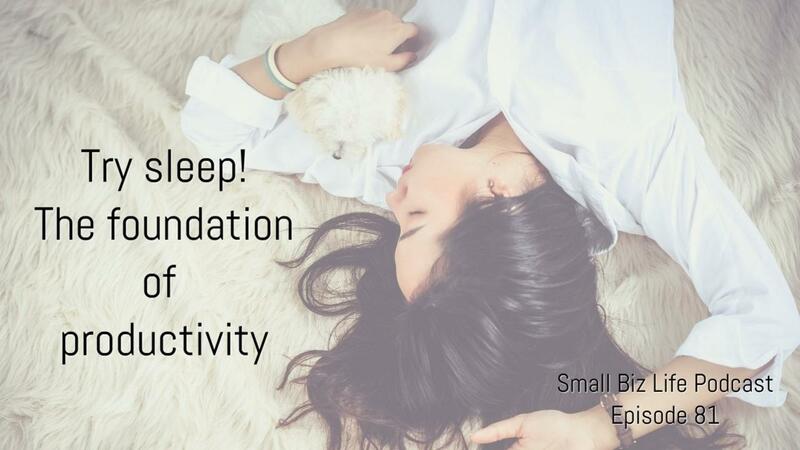 We found lots of evidence that sleep is the foundation of performing at a higher level.